Mind mapping is a popular way to organize thoughts, prepare ideas, and brainstorm new avenues of thought. As touch-based devices began to enter the market, it was only natural that apps to allow mind mapping on them would begin to appear as well. 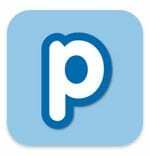 Popplet is a mind mapping app made for the iPad. Individual pieces of a mind map are often called “popples” (especially text-containers) and the overall map created on a peg board is called a popplet. Hence the name for this app. It’s based on mind mapping using a peg board or similar non-freeform mapping surface. For many, these may not be restrictive enough to bother upgrading, but most will likely find the money well spent once they do upgrade. You can grab images from the Web, your iPad, or even snap them with the camera an add them to your Popplets along with notes and other information. Pinching allows you to zoom in and out of the overall board so you can focus on some aspects or see everything all at once. You can combine text, images, or even your own hand-drawn graphics to the board as you see fit. The app is fairly freeform in regards to what can be added where. For those who mind map often and who would like to be able to do so easily and wherever they happen to be, Popplet may be your answer.